David Petraeus and Paula Broadwell affair: FBI investigation found emails showing CIA director affair with biographer. Was Petraeus’ Affair Exposed Because of Paula Broadwell’s Jealousy? In the end the counterinsurgency expert got ambushed by being too successful winning hearts and minds. 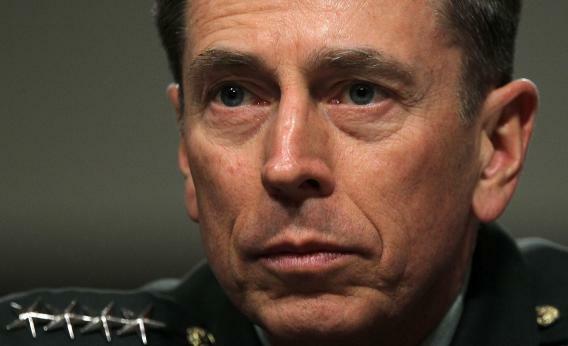 Gen. David Petraeus was forced to resign from his position as head of the CIA because of an affair with Paula Broadwell, the author of a worshipful Petraeus biography, All In: The Education of General David Petraeus. It now appears that what instigated the unraveling was a series of hostile emails sent by Broadwell to a woman whom she felt was threatening her relationship with Petraeus. The recipient, who was “close to” the general in the words of the Washington Post, notified the FBI. Now that’s a decisive way to deal with your rival, if the other woman is indeed the other other woman. When the agency looked into the emails from Broadwell to the yet-unnamed woman, they uncovered a trove of her exchanges with Petraeus. This initially raised concern that the personal email account of the director of the CIA might have been penetrated by hackers. But the content of the emails made it clear the only penetration was of a more personal sort. It’s quite an irony that Broadwell, in trying to keep exclusive her special access to this powerful man, ended up setting off the chain reaction that smashed his career. It’s a truism that if you’re going to commit adultery and you have a lot to lose, it’s prudent to choose a partner who has equal motivation to be discreet. We know how much Petraeus put at risk, but it would have made sense for him to assume that Broadwell, who had a husband and two young sons, had just as much interest in keeping the dalliance quiet. But her behavior soon became flagrant. Watching Broadwell’s interview with Jon Stewart to promote her book, every other sentence now sounds like a double entendre. (Stewart mentions her being “embedded” with Petraeus then says presciently that the last general who let a journalist get that close, Stanley McChrystal, got fired because of it.) In the uncut version of the interview, Broadwell, who has arms to rival Michelle Obama’s, engages in a pushup contest with Stewart and her physician husband, Scott, who steps out of the audience. Paula Broadwell wins, but there is something poignant about watching her husband pump away on stage—you just can’t help wondering how many pushups the general can do. The Washington Post reports that the FBI, in gathering evidence about the affair, found exchanges between the new woman and Petraeus in which she complained about the threatening emails and subsequent emails between Petraeus and Broadwell in which they discussed the harassment. Broadwell didn’t act on her threats, so she is no Lisa Nowak, the former astronaut who was dumped by another astronaut and then assaulted the woman who had won his affections. But it does seem like a pathetic grasping for attention from Petraeus, or an attempt to assert her special closeness to him, that must have prompted Broadwell to write “General David Petraeus’s Rules for Living,” published just this past Monday in Newsweek. In Business Insider an anonymous military officer who served with Petraeus gives a scathing (and sexist) account of what he saw between the general and his biographer. He says as soon as news of the affair and Petraeus’ resignation broke, he knew who the briefly anonymous woman was: “Who had exclusive access to him? Who wrote the hagiography on his life? Who framed their entire existence around his persona?” He added, “Over that time, she went from someone very likeable to a shameless self-promoting prom queen.” The officer said that Broadwell crashed events where she knew Petraeus would be—shades of Monica Lewinsky on the rope line at Bill Clinton’s appearances. Reminiscent of how Lewinsky and Clinton ultimately fared, he assumes that Broadwell’s reputation will be ruined— she got her “claws” into a superior man at a moment of vulnerability, he says— but he says that Petraeus will be rehabilitated and have another turn on the national stage. He’s right that it rarely goes well for a woman who loses her bearings over an important man and that powerful men often get another chance. Recent reporting has cleared up one mystery that emerged from the mess while raising a new one. In July a letter to the New York Times Magazine’s ethicist began: “My wife is having an affair with a government executive. His role is to manage a project whose progress is seen worldwide as a demonstration of American leadership.” There was fevered speculation that the letter writer was Scott Broadwell, but the magazine’s editor has announced it wasn’t. So who is this bad boy?